I have struggled for long months to forget someone I have had a relationship with for 4 years. We are not together anymore and I try to forget this person and I can not. Is there a prayer that can help me? Can angels help me? What to do? Thank you. What you are looking for is not with this person, but inside you. What you saw was a "mirror" of something beautiful that is reflecting inside. My Beloved Brother, all you need, for this moment, is to respect the time, where you will find this something that brought you closer to that person, but not in it but in your heart. This person went through your life to show this to you, to show this Love and this quality that you have. You suffer because you think that something belongs to that person, but no, My Brother, it is within you. We suggest you do an exercise: imagine this person in front of you, but see yourself as a 10-year-old. You are by your side with 10 years of age, and the front is this person. Now, ask this child what it is that attracts you so much to that person. Listen to what your child tells you. What quality attracts you so much in that person? Why does she need you? Let the answers come and flow. Write down the answers that flow. Now, My Brother, ask this same child: When did you leave aside precisely this quality, which attracted so much to that person? You will see that what is missing in your life is not this person, but something that was asleep inside you, and that it has awakened and that you now miss. All of us, My Beloved Brother, are beings that possess everything within us. We do not have to look for anything externally, and you will see that in time, this relationship you have, will precisely develop what you seek in the other person. Because it is yours and not hers. But when you saw that in this other person, you thought it was so beautiful that now I wish I had more of it! But if you do this open-heart exercise, you will see that what you are looking for is in you. You have what you were looking for in that relationship. And when you realize that, you will be grateful to that person for understanding her function in your life, which was to wake you up to something that was asleep within yourself. When doing this exercise, which we propose, notice how your abdomen is. If he stiffens or becomes loose. If he stiffens, you will see that he has created a relationship of dependence on something external, but that is within you. In that case, release the abdomen and relax. Let go of that feeling of attachment and exterior, and look within yourself. You will see how good this has been in your life and will recognize the function of that relationship. By releasing, My Beloved, you will be creating the conditions to attract new and healthier relationships. You will strengthen and come out of this state, for you will recognize your inner power to pass through this momentary pain, but it will have a purpose to bring faith and acceptance into your life. I'm 76 years old. Dear brothers and sisters, I come to ask for counseling for treatment. I feel a lot of pain in my body. Joints and right arm with problem due to surgery due to a fall. I've had spiritual surgery. 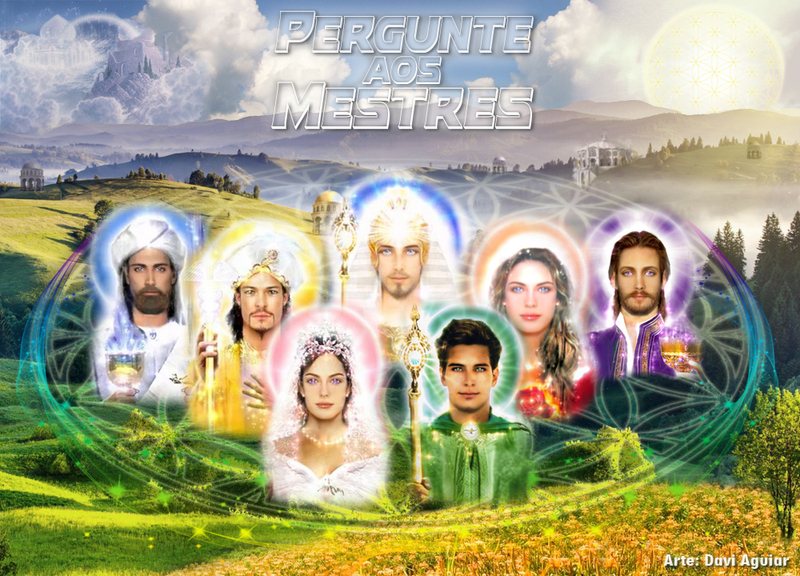 I attend a spiritist center, I have spiritualism as my religion. I became aware of this space by a post on the face book page. Going through the page I came to you Michele Martini. I heard an interview from you telling you how it came. To the knowledge of his spirituality. I would love to get messages. I leave my fraternal embrace in the hope of being attended to! We are here to help you always. Fear not to be answered. At that moment, we radiate our Love upon you, which is bathed in every Flame of the Purification of Transmutation, so that it may be healed in the purest Love and in peace. Honey, you've been through hard trials. We know. But, my dear, you also know from your studies of spirituality that you have chosen this journey, and you are here, to embrace this wonderful opportunity of cleansing and regeneration. It is of no avail, My Beloved, not to take advantage of the wonderful opportunity that came to experience, lamenting and bringing suffering to your heart. We know that you go through physical trials, but that you can be relieved by your mental attunement, leaving aside, for a moment, the lamentation of the physical sensations, but remember your connection with the High. The connection with the High that I bring, my dear, is precisely what will bring you healing, which no spiritual surgery can bring definitively, but rather, it can only start from you. This connection, My Beloved One, to be established, needs to be with the mind free of suffering, guilt, sorrow and pain. The pain I say, my dear, is not physical in this case, but the one you insist on nurturing in your mind, considering yourself a "suffering little sister." Beloved, remember that, like so many of your brothers, you are here to tread your journey in the path of peace and liberation. No one, My Beloved, will do this for you, for it is a process of elevation and individual Ascension to the Light. Your connection to the Light can only be established by yourself. Always be in connection with the High, and thereby allow the healing work in you to take place. Honey, how could you want "a vase of old water to be filled with the most beautiful flower"? You need to change the water, My dear. The healing processes and spiritual treatments to which you submit will only be effective when you clean the vessel, My Beloved One. Stay in Peace and Light. What you need to be aware of is that your body cries out for its inner modification. There is a call, not only for age, but for many years of the same repetitive behavior, where he often brought criticism and resentment to his heart, without letting his feelings be cleansed. This accumulation of feeling needs to be released, My Beloved, and often the body assists us in this process as a blessing to call us the review. It is the hour of forgiveness, of no more keeping criticism or resentment in your heart, of not questioning the reason for not being valued or loved. Everything, My Dear, part of your own appreciation, your own Love, so that Can heal those inner wounds of resentment, of expectations about the harsh attitudes they have had with you. Lack of appreciation comes from within your heart for yourself, and when you allow yourself to release those criticisms, you hold within yourself, your body will relieve itself, you will release, and thus you will feel relief from physical symptoms. This physical pain is the call of your soul to hear it. Because she is beautiful, loved, beautiful, a soul of Light that wants to be recognized. And this is what your body is asking for: to release your emotions once and for all, let go of all that is stored within you. Thus, you will be bringing your own purification because your body is just screaming to release what you keep in your heart. Stay in Peace, My Daughter. Hello Good Night Thiago and Michele Martini, I have been in the middle of spirituality since 2009 in spiritual centers, in 2011 I had a very intense awakening to the point that I freak out, I am learning to deal with this, from time to time I wrote some things about myself , And then I started to write a story and two psychics said it was psychography and I would like you to help me I want to discipline myself and work for the light. Gratitude brothers. We thank you at first for your opening so that we can assist you. Today, you still go through a training stage, as so many of us have also gone through, My Brother. The cleaner your interior, the higher your connection. Learn from it, and bring it to you, the opportunity to rise and purify yourself with this learning. The story that receives yes, is a psychography, and must continue allowing that process to flow. But remembering to always clean yourself internally, so that you receive, in a cleaner, without tones of judgment, that we humans are passable even with years of experience and thus become a more and more pure medium within yourself . Free yourself from fear. Let your writing flow. It's okay to be insecure. Being always connected with his anchoring and thinking in the Love and charity of our dear Jesus, there is no way to connect with energies contrary to this loving work of Christ. Always be protected and this will give you more confidence during the plumbing. And let the process flow with each step at a time. Let your experiences lead you to the path of purification, following what life brings you during this learning, even if you have to shed so much of your old self that it existed, but it will be to become a new person . Follow your walk and allow the free flowing safely and faith in the Master Jesus always. Hello, dear ones, Namaste. First of all, Gratitude. I am 50 years old, I am a teacher and I move away from work, many difficult issues that have triggered in me, what they call Bournout Syndrome and Panic Syndrome, that is, aversion to the work environment. I am away for a year and two months, by foresight and I do not see myself teaching anymore. I do not want anymore. And I'm not sure how to solve this. At the same time, at one year, who has a problem at work, but, due to the chikungunha virus, which is no longer enduring to live in that state, it depresses and takes away the motivation For a life I am a medium of incorporation, Ten years and I wonder, why so many physical pains. I have already wondered if pains, would also be linked to my work as a medium, because I receive many "heavy" energies. At the same time, there is a relationship with a man, who has lasted ten years between comings and goings, but who also mistreats me a lot and of the quality I find it very difficult for me to disconnect, to sublimate, to detach. How to release these physical pains and balance my emotional. What is the real cause of these pains, why not? Due to the remoteness of work, a consequent decrease in my salary. What. Of course, it creates some discomfort. I would like to confess, that the psychiatrist, has passed remedies, but I did not feel well, when taking in the beginning, and I put aside. I have already improved, in some symptoms, more like pains in the body, they insist. 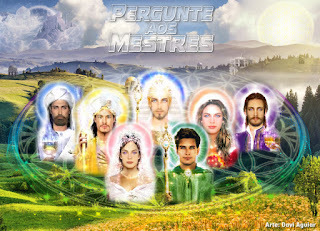 I have done meditations, mentalized the Green Flame of Master Hilario. Why so many pains and when? GRATITUDE.GRAFT! We would like to tell you that everything in this life has its purpose. You chose to be a teacher for so many years, because there was a lesson to be learned there, which is precisely the release of excessive control. You have learned that the classroom environment needed to be a place of respect, and has always charged you with this rigid posture of your students. But this rigidity made you stiff. We do not say that the classroom should be a totally free environment, but perhaps different students have different ways of expressing themselves and presenting themselves to you. Over the years this must have been clear and there have been students who have faced you harshly, and others who will be kept forever in your heart. How many good experiences did you have? Did you know that teachers deeply mark the souls of your students? Just remember the dear teachers you had, and the affection you had for them. Bring it to your heart! You have helped, many people and many students have exactly this affection for you. Many times we feel discredited, we would like to be recognized and we end up imposing our way of being to all. And that's what causes all this anxiety, that fear, that stress accumulated for years. But if you remember the affection that some of your students nurture for you, it will relieve your heart, and you will know that you have done good, which has helped many to follow in a better way. Bring this forgiveness, this peace to your heart, with the confidence of a job well done. 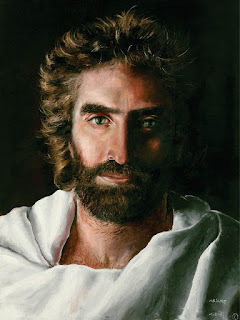 The Master who accompanies you, I say Jesus, went through many difficulties in his life, standing upside down, trusting in the good. You are a great worker, but you need to "let go of the reins of life", get more of what you do well, remove all that rigidity that the classroom has brought you. Allow yourself to flow, My dear. Release those feelings stored in your heart so that your beautiful authenticity radiates into the world. You will realize that by releasing all these pains, which you hold within you, you will simply feel at peace. Trust in the good you have distributed throughout your life to many, and look at it, My Beloved Sister. Trust in the beauty of your heart, which you will see, even your mediumship in a looser, softer way. All the physical symptoms we feel are resistances we bring into our lives, which we hold, and then our body tightens. Even in mediumistic work, there is a need for flow, lightness, liberation, and release, and you will see that your inner liberation, the liberation of this rigidity of the classroom will bring greater peace, your work will expand and new horizons Will open. We need to "let go the reins of life," let each one learn in his own way, at his own pace, and do not need to feel responsible for those who refuse to learn, for it is their choice. Look at life like this, and you will see that everything I brought to you was only because I wanted to do well, because I wanted to pass the message on to everyone, but ended up getting involved with it. Liberation will bring you that peace and the recognition that we can be whatever we want, and that everyone can.